"From Custom Homes to Resort Development"
The March 2018 training webinar and case study interview showcased the work of award-winning Costa Rica architect Roderick Anderson, who has been featured by Graphisoft in articles and ARCHICAD launch events. Roderick also was a presenter in the Masters of ARCHICAD Summit and taught a course on BIMx Strategies for Design and Construction as part of the Masters training series. Roderick is well known for designing and building beautiful high end custom homes on challenging coastal sites. His firm Sarco Architects recently tackled their first complete resort development in the Dominican Republic, which has already won several prestigious design awards. In this interview/case study, we explored several projects live, on-screen inside ARCHICAD, and discussed how Roderick approaches the design and development process. It was particularly interesting to see and hear how he carefully optimized the workflow to suit a large site with multiple buildings and a combination of private and public spaces. BONUS - Silver and Gold Level Members Only: Roderick shares with us a BIMx model of one of his recent projects - a rare chance to download and study the stunning work of an ARCHICAD Master! This replay recording is available to all ARCHICAD USER members. It appears that you are not currently logged in. Please LOGIN to view the recording of Roderick Anderson's inspiring presentation. 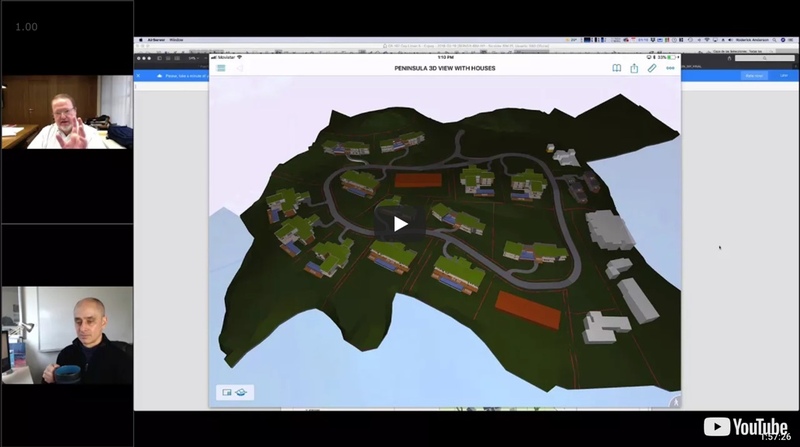 Login to the ARCHICAD USER site to watch this inspiring video! Registration is free.